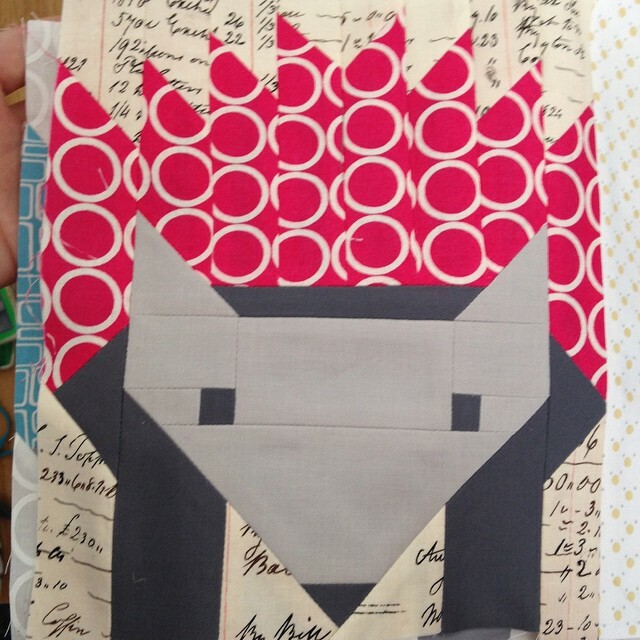 My not too ambitious goal for the month was to get the Hazel Hedgehog quilt top finished. I’m totally gutted to realise that there are two more blocks with errors in them, but by this point there is no way I am going back to fix them! 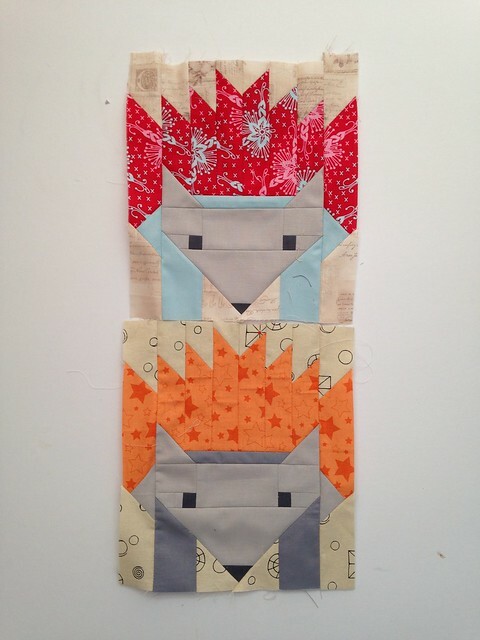 I have made more progress on this and I’m hoping I’ll have a finished quilt to link up with the 2nd quarter FAL too! Do you know what? You really have to stare to find the errors and I would never have found them if you hadn’t mentioned them. A real error would be a hedgehog upside down, perhaps. Even then, you could call it deliberate a joke! Try being less hard on yourself! There’s enough stress in this life without making it for ourselves. In any case, the quilt is lovely. 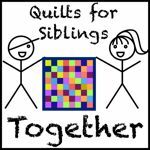 I just see a stunning quilt that will become part of your family memory. 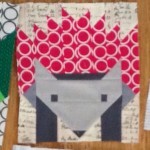 Quite the most beautiful I’ve seen using this block down to the clever use of colour/pattern, oh and clever piecing! I’ve said before I wish you’d loan your daughter out as colour/fabric selection is real agony for me!! Very ambitious and totally cute! I couldn’t even see the error in the block let alone in the others, I’m sure no else would either – don’t be too hard on yourself. Come on, you can’t hard so on yourself! 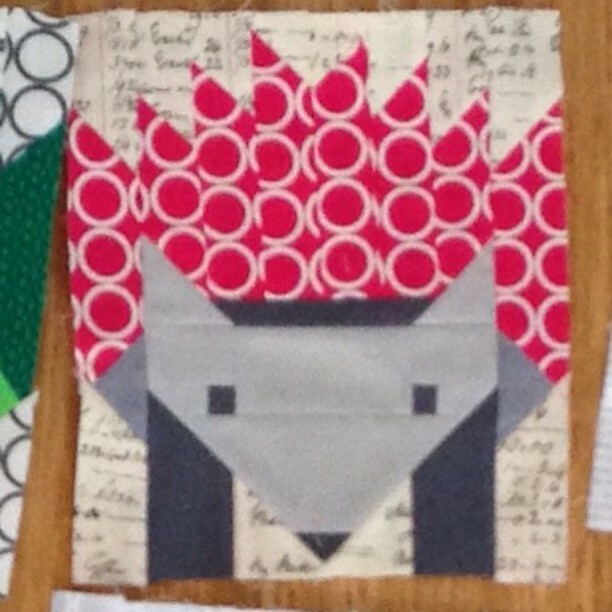 It will be a funny part of the quilt in years to come and you have inspired me to get working on a quilt like this, probably with a couple of mistakes also. 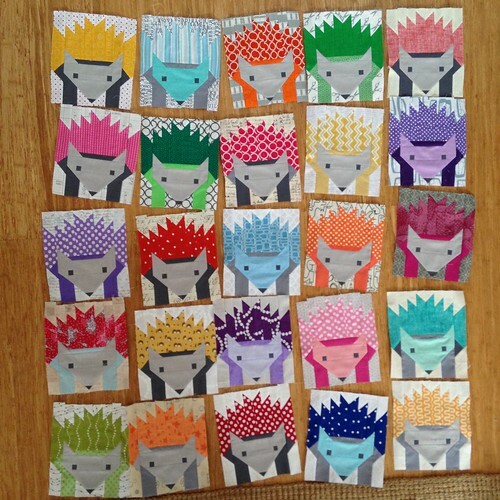 Oh, you know each little hedgehog will have his own personality. Two of them will just have more than the others. 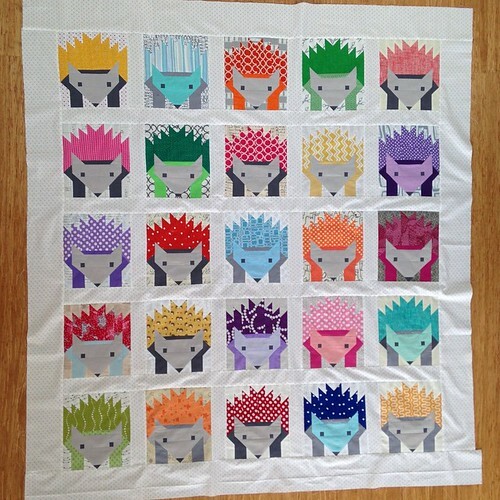 Hurrah for you, for this completed quilt top–it will be a treasure for Bethan for sure. I love it! And you could always use the mistakes as some kind of game–though I think “mistakes” give things more personality! Those Hazels are simply lovely! 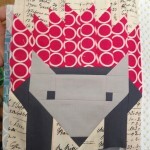 I am so very tempted by all the great versions I keep seeing out there in the blogosphere! Your fabric selections are wonderful… and I wouldn’t worry too much about the errors you found. Chances are, you’re the only one who can spot them. I certainly couldn’t! Well, not all hedgehogs can be alike just like not all people are alike — right? It looks absolutely great! Congrats on your finish!